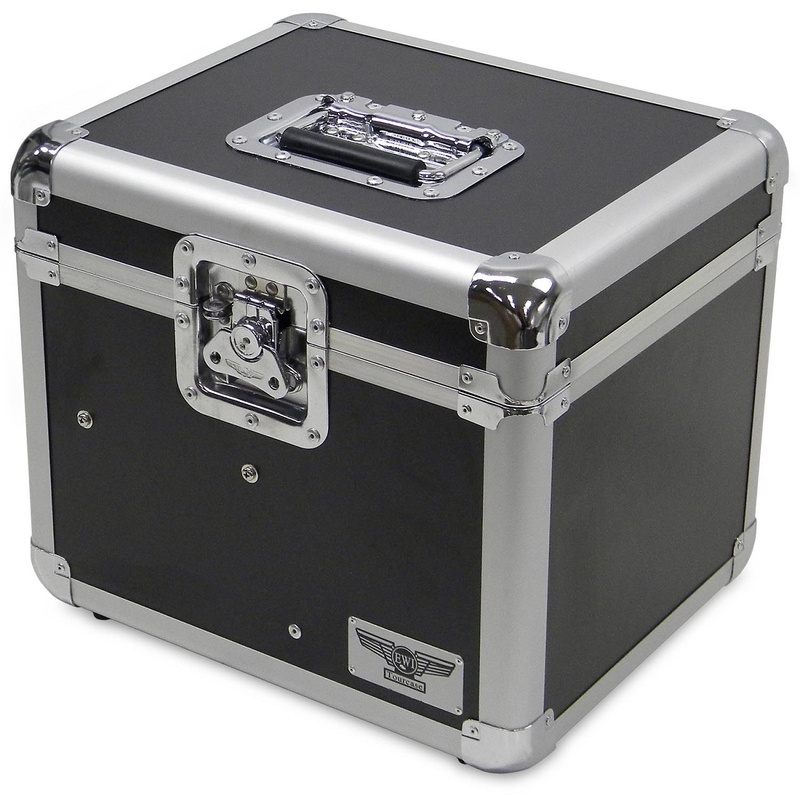 The EWI Tourcase tm Model M012C is a lightweight mic case suitable for holding up to 12 microphones. There is a compartment next to the mic caddy which can be used for storage of D.I. boxes or cables and additionally the foam mic caddy tray is removable which allows room for additional mics or other small items to be stowed below. The M012C mic case is available with a choice of twelve 30mm holes ( "57" and "58" sized microphones ) or twelve large 38mm which can be used for wireless handheld mics. The interior walls are fully lined with a thin, high-density foam. The inside of the lid and the inside bottom is covered with medium density egg-crate foam. 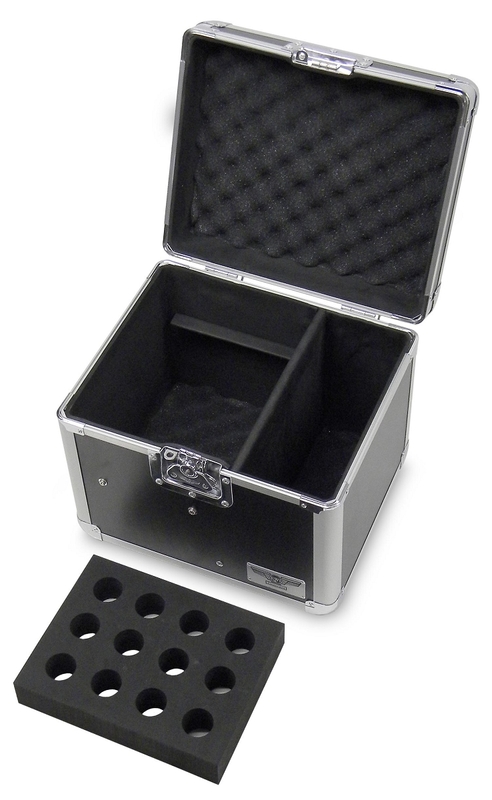 The removable mic caddy is constructed of 2" high density foam. Considering this is an inexpensive, lightweight case, it's still pretty decent, manufactured with some nice details and a decent fit and finish. 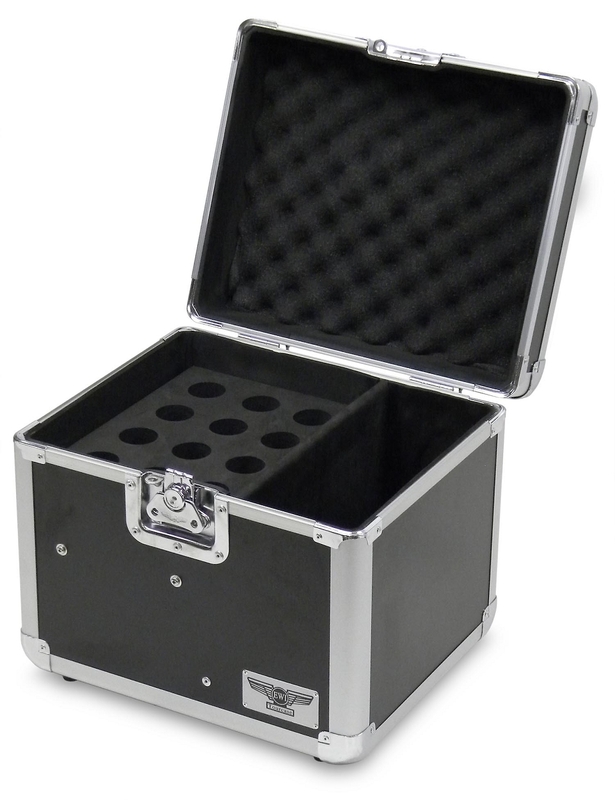 Left to right of side compartment: 4 1/2"
Front to back: 11 1/4"
Depth of side compartment: 9"
Left to Right of Caddy compartment: 8 1/2"
Depth below Mic Caddy: 5 1/2"
Over-all inside height including lid: approx. 11"
Left to right: 14 3/4"
Front to back: 12 3/8"
Dimensional shipping weight: 19 lbs.